It will be my next project for my after school engineering club. Check the vid to see the key rings in action! By following a detailed set of instructions and videos from the Instructables website, yr9 students (13 year olds) will make a glow-in-the-dark key ring. The students will recall previously learnt skills on the metal lathe, e.g. facing off, centre drilling, and drilling to a given depth. This project will introduce the students to a milling machine and an indexable head. The project teaches how to use these precision tools to a high degree of accuracy and the students must aim to work within a tolerance of +/- 0.1mm. To achieve this tolerance the students will have to use basic mathematical calculations of linear measurements and angular divisions. Put a M8 tap into the chuck and manually tap the thread. Do not turn the lathe on! Once its started remove from the lathe and complete the rest in a metal vice. Remove the work piece from the lathe and secure in the indexing head. Slowly advance the rod towards the work piece, using a thin piece of tissue as an indicator......keep moving the tissue, when the rod grips the tissue you know its exactly on the edge of the work piece. Lower the machine bed and zero the Y axis dial. Use the drilling head to drill to a depth of 5mm.....its important each hole is exactly the same depth.....ensure you pay close attention to the numbers on the Z axis dial. rotate another 8 positions on the indexing head. I got this Ø6mm glass tube from the science department....... you can use any glass or plastic tube....even fish tank air hose would work. The glow in the dark powder was purchased on ebay. The glass is pyrex so its pretty tough and when bought through the schools science department its surprisingly ......cheaper than acrylic! Not upto speed on how this all works yet.... 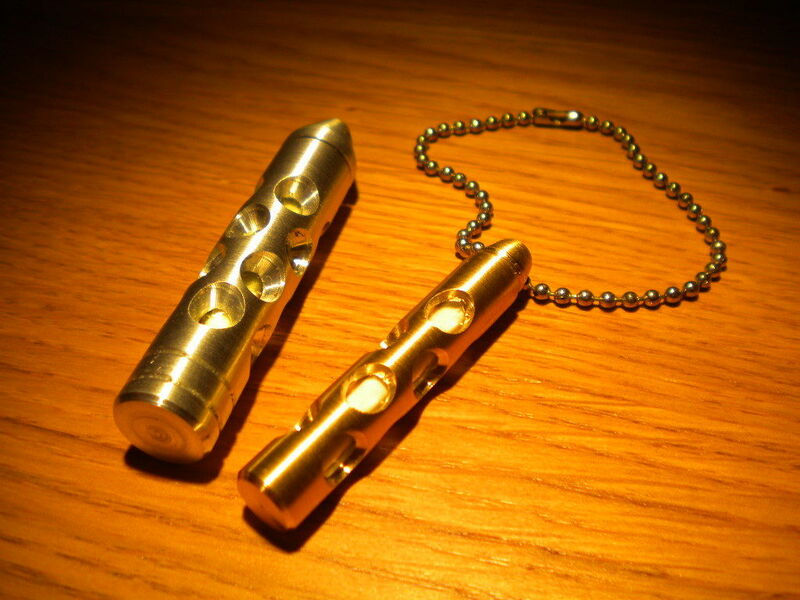 But the torches will be possibly the only thing I try as the keyring projects are the simplest things I make. I like your gearbox lamp BTW. Top job. Amazing. Are you going to sell these? I would love to own one. P.S. I voted for this and for your aluminium keyring. Good luck! Hi, thanks for the vote.....unfortunately all my spare time is consumed by instructables.........Robot, please can i have my life back! wouldn't be easier to use a tube instead of using a solid rod and drilling the center? Absolutely amazing build, may I ask what inspired the make? Ahh, I missed that! I love how you made yours different and unique. what about using tritium vial with a plastic coating? outstanding project by the way! i hope to get a lathe and milling machine in the future. Well i live in the united states, but i will definately ask you if i have any questions! i need to buy a new belt sander (i just burned the motor out on mine) then i need a knife belt grinder and a forge. after i get that equipment i plan on buying the milling and lathe gear. I live in the south east of England. do you know where i could get a cheap lathe or milling machine as i am a student. There are a few different options, what's your budget? And what sort of things are you interested in making? My budget is as cheap as possible. i really wanted to make small projects like your glow in the dark key chain above and some small model steam engines etc. so its nothing too big. Hmm then i would suggest ebay or gumtree and buy a second hand one it just requires a bit of time to wait for one to come available...however.....if you are unable to collect a heavy lathe or just want a new one then dont spend less than £600 or it will be rubbish...... the cheapest machines are from axminster or chester tools. if you are looking at a particular machine, and would like my opinion of it just email me on my instructables account.